Your career carries specific attire requirements. When it comes to footwear, durability is a must since you're active. And because you're moving so much, comfort is also a necessity. You have to maintain a clean, neat appearance, so your footwear must be easy to po ... (see full details) (see specifications) #25731. Your career carries specific attire requirements. When it comes to footwear, durability is a must since you're active. And because you're moving so much, comfort is also a necessity. You have to maintain a clean, neat appearance, so your footwear must be easy to polish and resistant to wetness. Fortunately, these Danner Men's 6 Inch 25731 Scorch Side-Zip Duty Boots from Working Person's Store are designed specifically to meet your needs. It starts with protection from wetness because these men's duty boots are waterproof. That's right - they can handle a good rainstorm and resist moisture. They're built with Danner's Danner Dry waterproof technology. It makes sure that your feet will stay dry wear after wear because it makes it difficult for wetness to permeate the exterior. In addition to being waterproof, these men's side zip boots are simple to clean. Because they feature a waterproof upper, the 6-inch Scorch boots naturally do not soil easily. And because you must maintain a sharp, neat, clean appearance, they feature a toe that can be polished. Moreover, these waterproof men's boots from Danner are durable and functional. 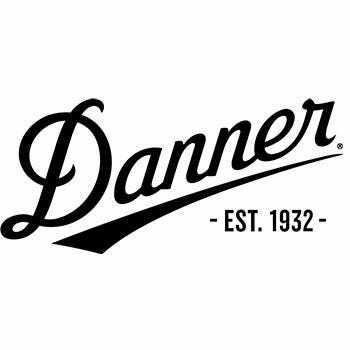 These are crafted with a Danner Scorch outsole that offers toughness and long-lasting quality as well as slip resistance. You can rely on the rugged outsole to last, and you can depend on it to offer increased traction underfoot, too. The aforementioned outsole found on these speed-lacing slip-resistant boots is also built with a stability control arch. It provides stability underfoot to keep you safe and make sure your movements are purposeful. And perhaps most importantly, these men's Danner boots are comfortable. This pair is built with a lightweight, breathable upper. The upper features die-cut panels for increased air circulation, which helps to keep your feet cool and sweat-free. The Danner footwear also features a speed lacing system for quick put-on and take-off as well as quick adjustments. On the interior, your feet will benefit from a cushioning Ortholite footbed, a Danner Plyolite midsole, and a nylon shank. The Ortholite footbed offers immediate cushiony support underfoot. The Plyolite midsole offers additional support without being lightweight. And lastly, the nylon shank absorbs the shock that results from ground strike impact to reduce foot soreness and exhaustion. Let these Danner Men's 6 Inch 25731 Scorch Side-Zip Duty Boots meet the needs your career has for footwear. Order them here at Working Person’s Store today. Danner Boots: Men's 6 Inch 25731 Scorch Side-Zip Duty Boots is being added to your cart.